After 6 days of intensive infosec imbibement, Black Hat USA 2017 – and thus our time in Vegas – has come to an end. For those in attendance, the week went by in a flash – not surprising really, as each day was packed with briefings to attend, demos to watch, tools to try, and of course, swag to collect. 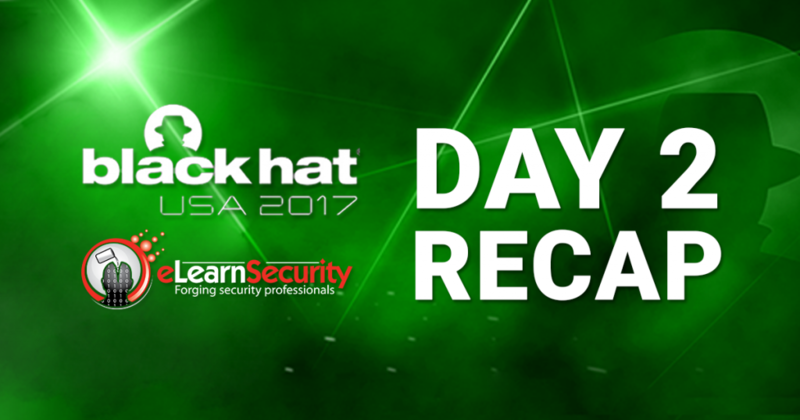 Time to wrap up our #BHUSA stay by giving you the highlights of Briefings Day 2. There were over 60 briefings held on Black Hat’s final day. And while there are far more interesting talks than what we could tackle here, there were a few that stood out and caught the audience’s attention. The team from 360 Technology introduced a vulnerability in 4G LTE CSFB which gives attackers the ability to send and receive calls using a victim’s phone number. Physics (much like hips) didn’t lie in Marina Krotofil‘s Evil Bubbles talk, where she demonstrated damaging industrial pumps via induced cavitation – showing that the physical process has as much to do with security as electronic communication. Black Hat asked April Wright to do an encore of her previous day’s talk, Orange is the New Purple, which involved the concept of integrating development teams with Red and Blue teams to create a loop of security in software creation. And finally, a favorite among many attendees was one that involved the KeenLab team performing an attack on the Tesla Model S. The team revealed details on the vulnerabilities that allowed them to gain access to the car, as well as how Elon Musk’s flagship responded. @nitayart the three laws of remote exploits! Arsenal took on a life of its own today, with a number of demos attracting a huge turnout. Tools such as the WPA2 Enterprise-attacking EAPHammer, sensitive info-scouring MailSniper, and car-stealing HackKey caused a lot of buzz from the community. The expo hall picked up right where it left off. Since there were no more tomorrows, everyone stepped up their game – and despite not packing the swag of the year (fidget spinners), we still had to call in booth reinforcements. Over the course of the day, we caught up with old friends, met some more students, gained new ones, and towards the end, escaped the confines of IC63 to go booth-hopping. Black Hat USA 2017 was a doozy. Sure there were some quirks, but that’s what made the whole experience it what it is. when did blackhat start getting the screaming goons like defcon has? i could do without. 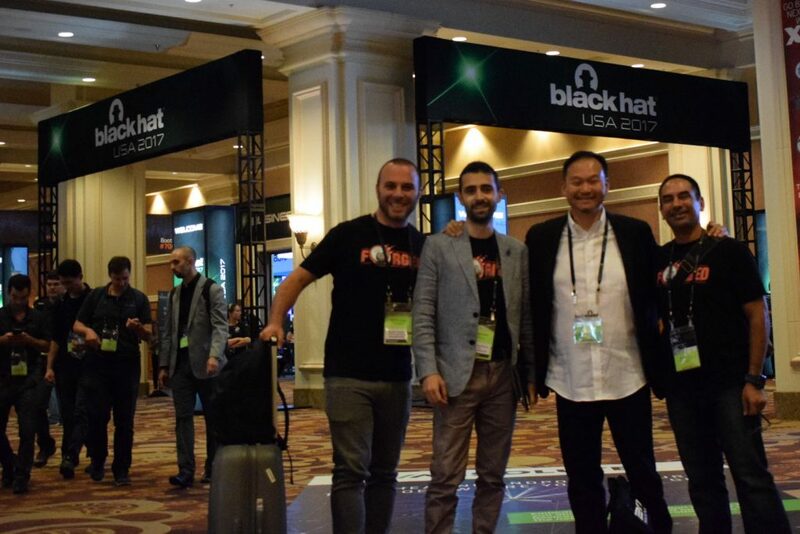 Black Hat USA 2017 has concluded, but you can bet we’ll be back next year! Big thanks to everyone who stopped by the booth! For now, it’s now time for our team to head back to Santa Clara, Pisa, and Dubai. Elvis eLearnSecurity has left the building!